I lazily walked down into the kitchen today to make a cup of lovely English tea, not only to find out that I have ran out of tea bags (big dilemma! 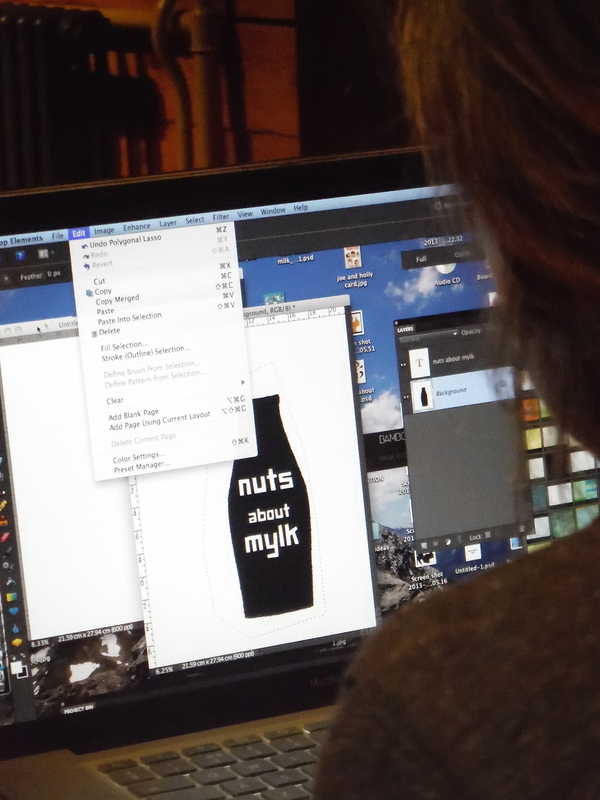 ), but I did find Andy working away with his scales and nuts creating a variety of concoctions for his new company, Nuts about Mylk. 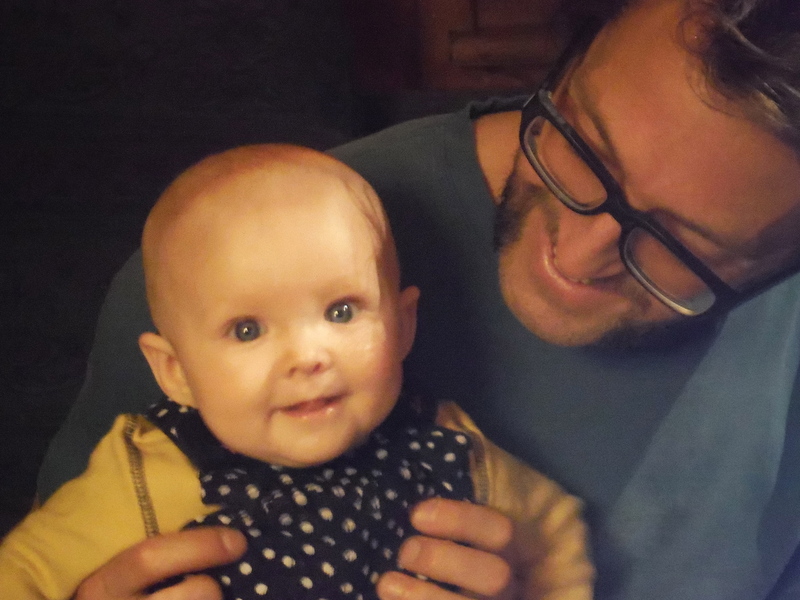 He has engaged Gemma into the process too as she was busily working away creating a logo. 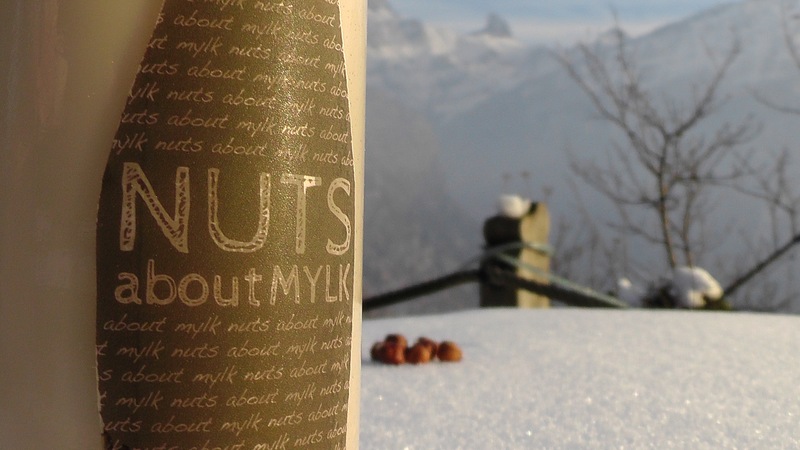 I have never tried pure nut milk before and actually I didn’t know what to expect. I watched how it was prepared, I have never seen so much precision in a kitchen, then again my cooking doesn’t involve scales and measurements.. 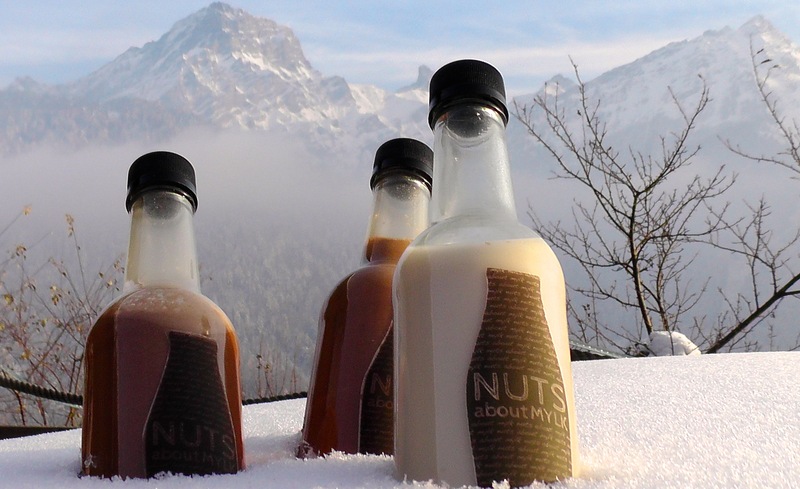 The final bottled products were made from a selection of almonds and cashew nuts with cinnamon and vanilla added to the mix. They are all so light you could drink the whole bottle! I think my favourite was the chocolate one, it was the sweeter of the three. 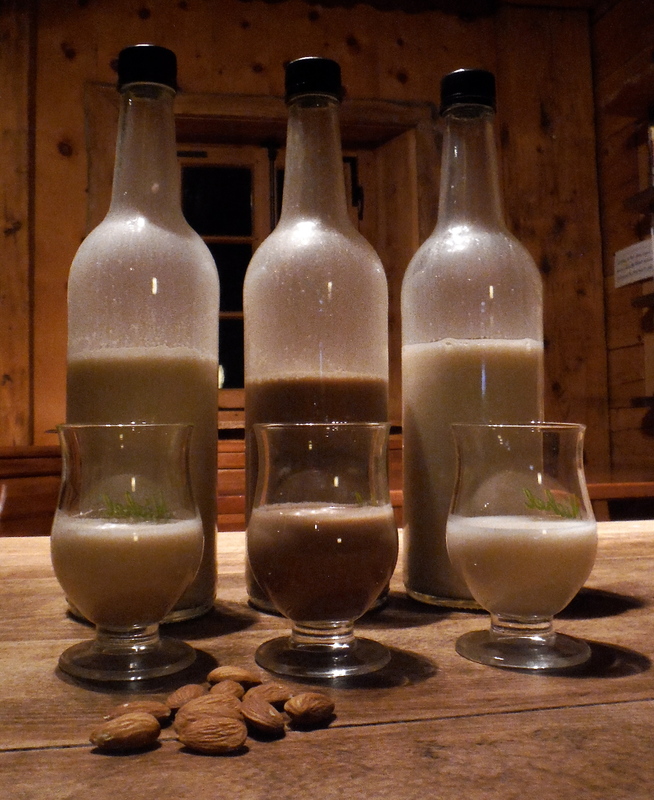 However, I am waiting for the Hazelnut and Vanilla Mylk to be created as I feel that will be my favourite.